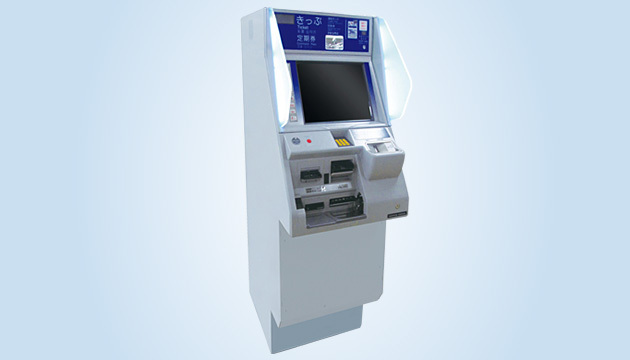 We strive to meet the needs of the continually evolving Automatic Fare Collection (AFC) Systems with application of the IC card system which transformed passenger gate and fare collection operations, and development of networks that integrate use of IC cards within and around each station. 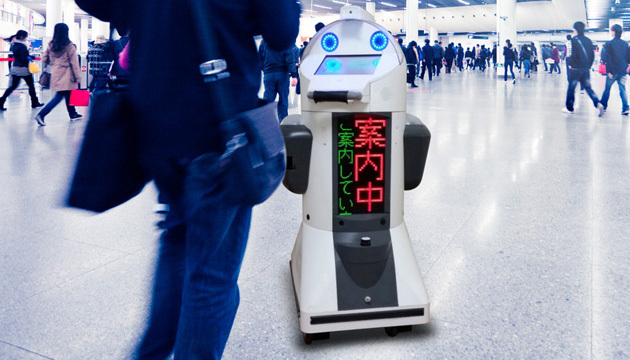 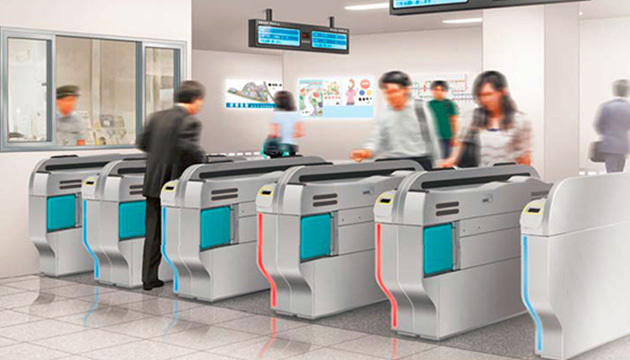 Implementation of IC card networks has spread from the railway industry to airports as well, such as the automatic boarding pass readers at boarding gates. 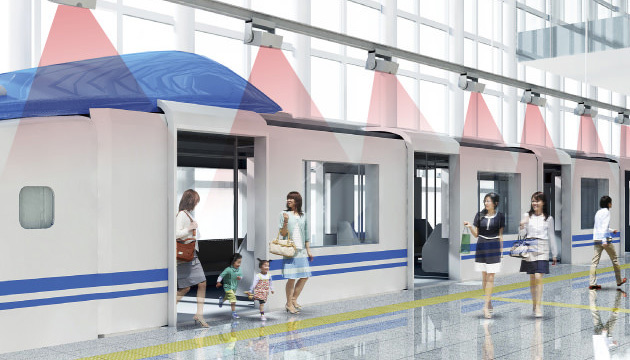 LED color signal improves message guidance visibilities. 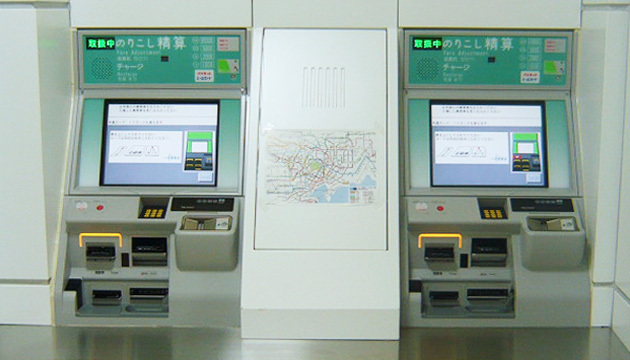 Improved visibility of LCD Screen, and guidance information with bright color blade on the both sides of the ticketing machine. 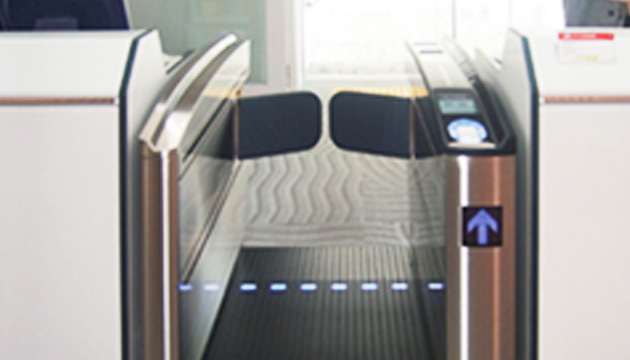 NS advanced AFC technology is also applied to security gate for office building, amusement hall etc. 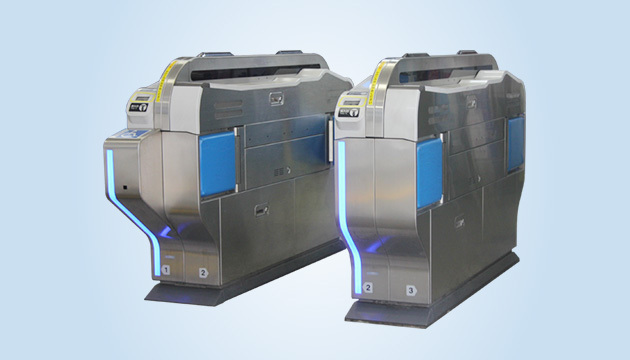 When passenger touches the gate reader with IC card, this advanced security gate checks the explosive micro particles within 1 second, and open the flap within 2 seconds for safe case. 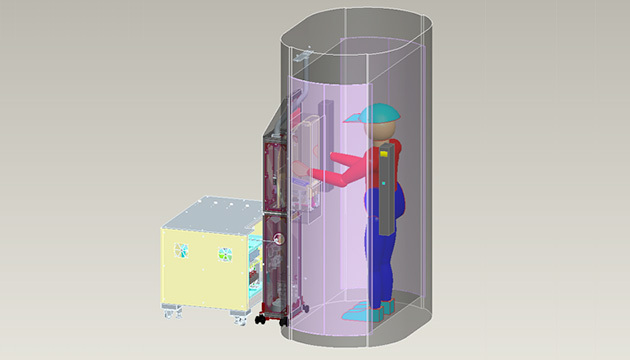 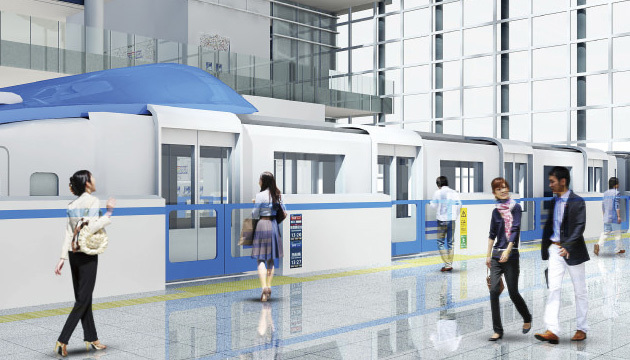 This high performance gate keeps smooth passenger mobility with inspecting all passengers at any time. 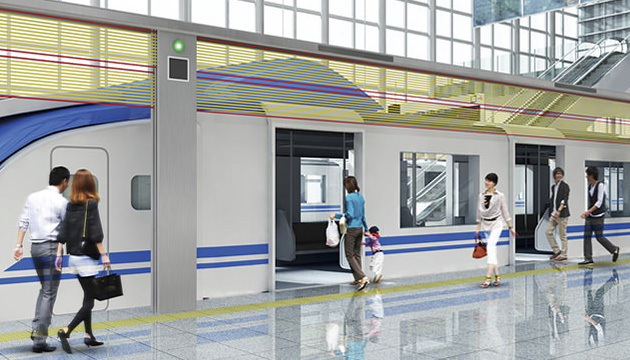 Find Dangerous person, Protect Passengers against Terrorists. 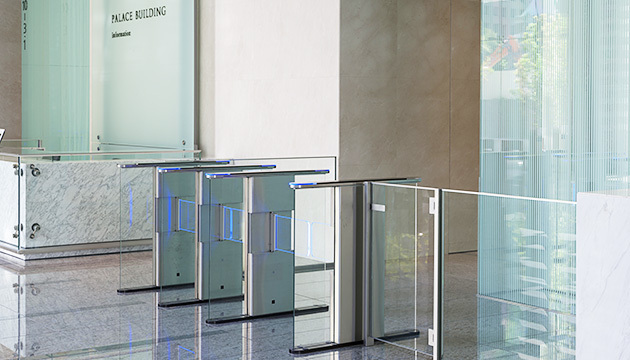 This Special security gate detects Dangerous person such as Terrorists, Explosive manufacturer. 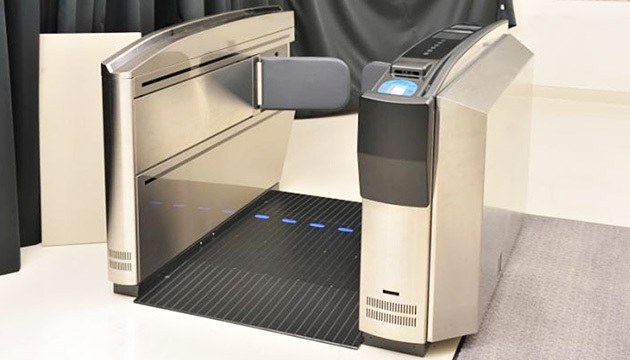 When passenger touches the gate reader with finger and IC card, this advanced security gate system blows the micro particles off the finger. 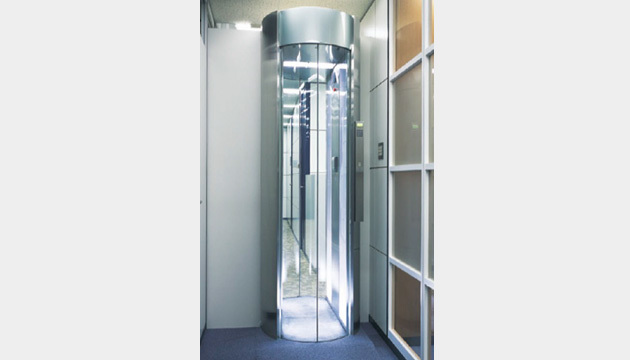 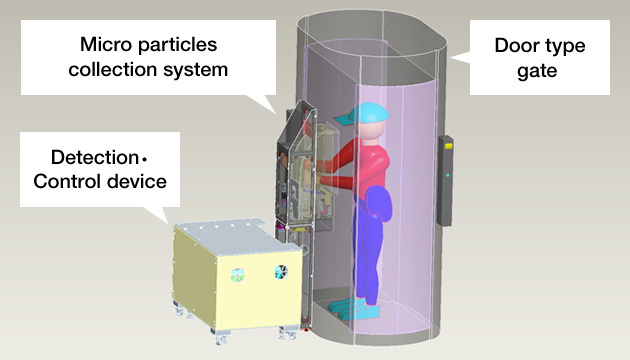 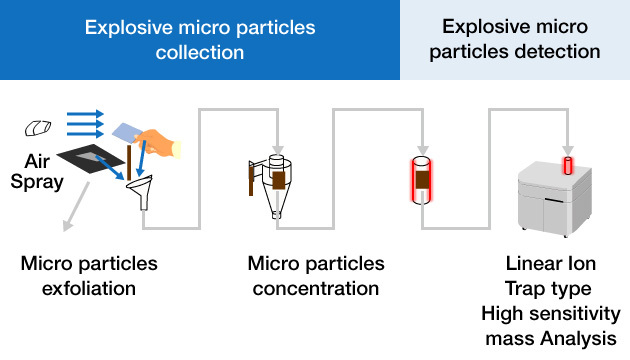 Also inhales the air and checks the explosive micro particles, when it finds any dangerous item, the gate door does not open and lock in the person.